When it comes to window cleaning services, Go Get Em Lawn Service is one of the leading window washing Florida companies. We have well-trained and highly-experienced window cleaning professionals that clean windows thoroughly to eliminate dirt, dust, debris, and residue for a sparkling clean look. At Go Get Em Lawn Services, we don’t merely use a squeegee and splash of water to wash your windows. We strive to make them spotlessly clean, not just for one or two days, but for the maximum possible time. So, our professionals use advanced technology to leave windows absolutely clean. We employ a combination of traditional and modern tools to deliver the best possible window cleaning services in Florida. 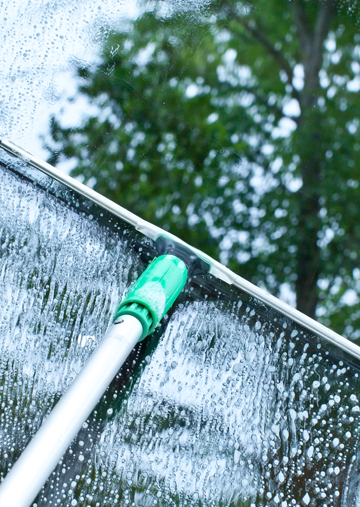 At Go Get Em Lawn Service, we always try to provide you hassle-free window washing services. Whenever you call us for your window cleaning needs, we arrive on time with a team of highly- experienced window cleaners and the latest equipment to accomplish our job efficiently and quickly. We have been delivering excellent window cleaning services for over 13 years, acquiring many new and repeat clients over the time. We offer customized window washing services, based on your specific window cleaning needs and preferences. With Go Get Em Lawn Service by your side, rest assured about high-quality work, polite and courteous attitude, timely completion of the job, and neat and shining windows that you were looking for. We offer you a free estimate for your job request promptly. Our customer’s requirements are of utmost importance to us and we ensure that our work meets them. Our excellent customer service has helped us establish ourselves as a trusted window cleaning Florida company. Call us today for our excellent window cleaning services in Florida!